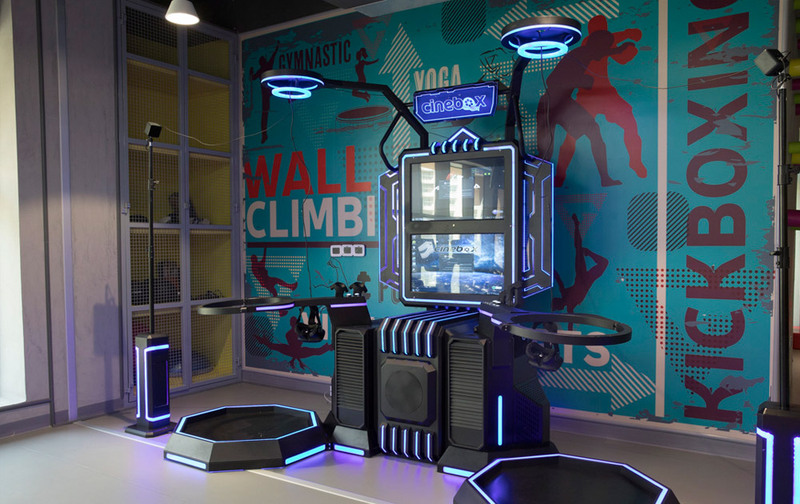 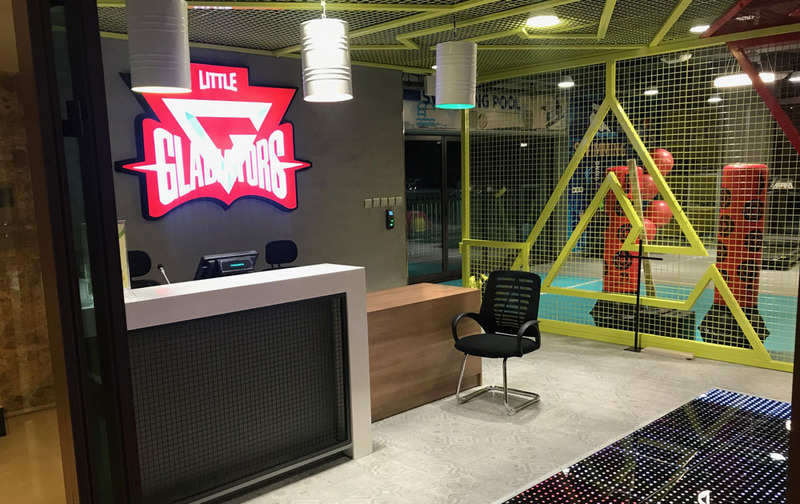 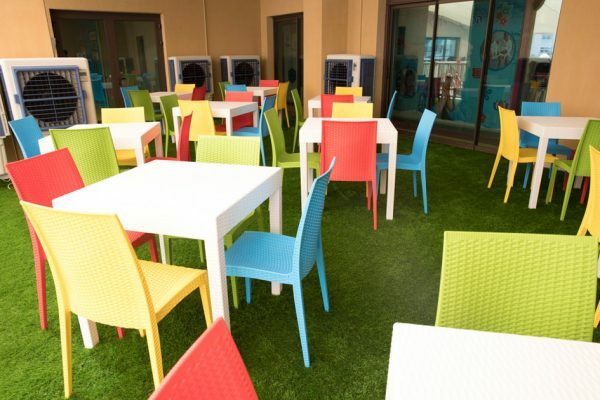 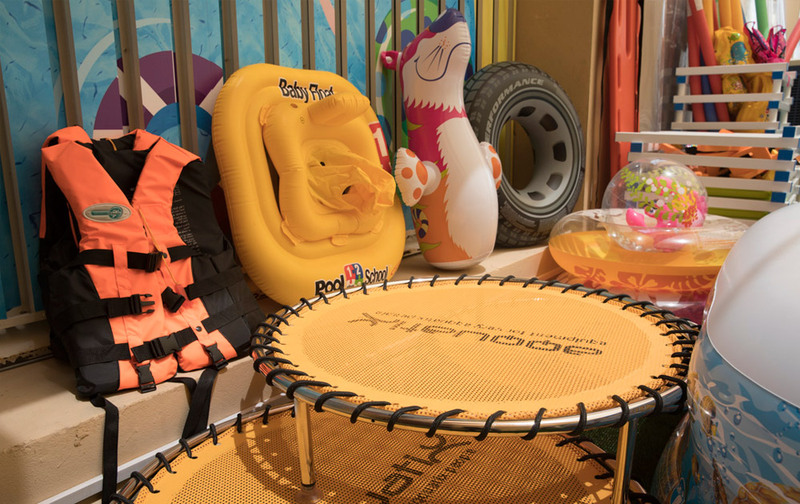 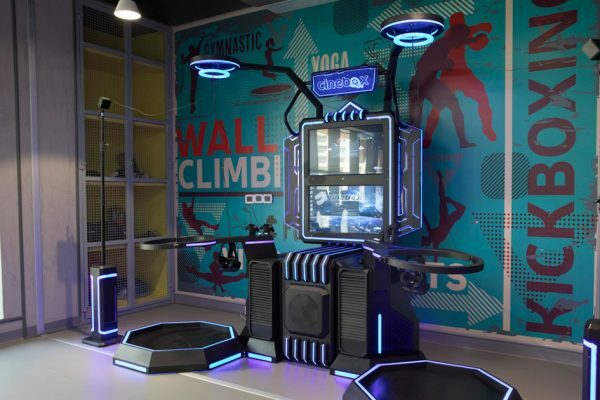 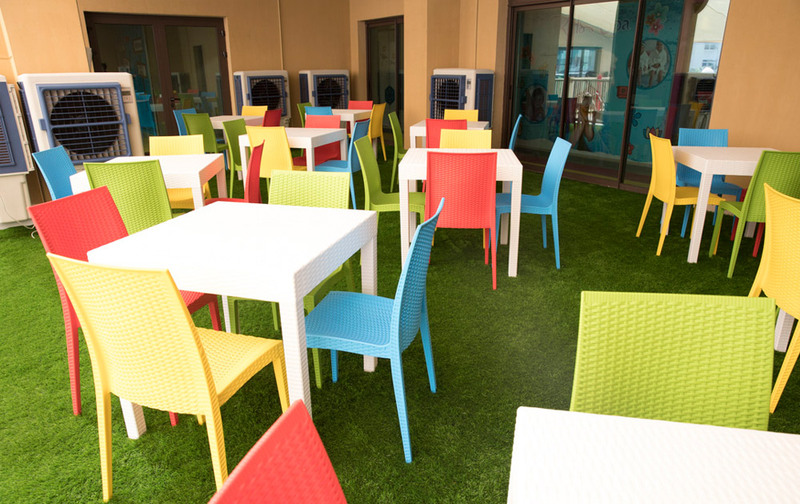 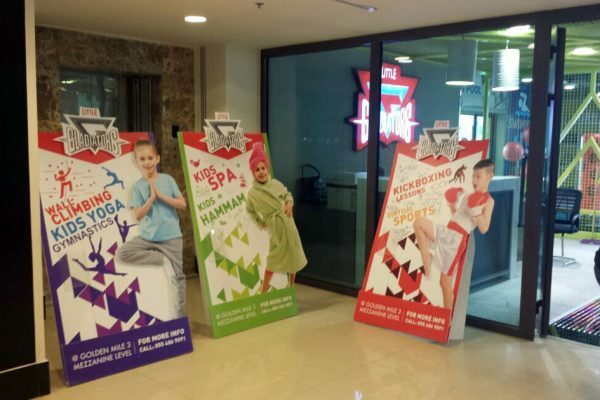 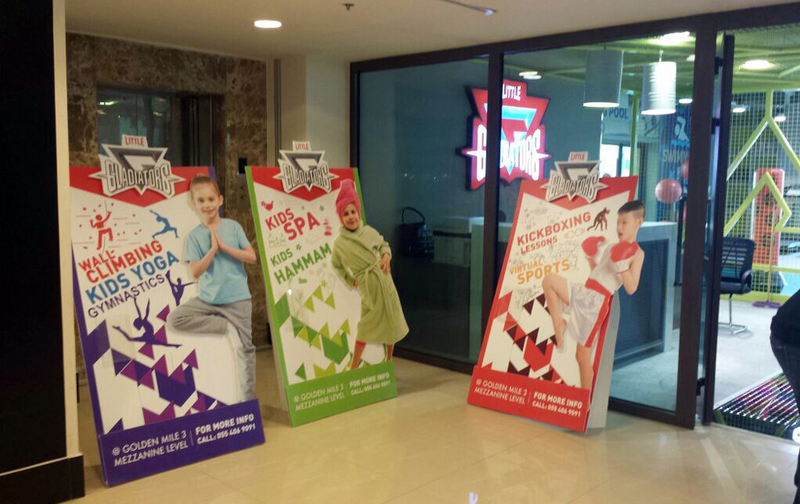 The first-of-a-kind, all-in-one kid’s fitness centre in the UAE, Little Gladiators is inspired by His Highness Sheikh Mohammed bin Rashid Al Maktoum, Vice-President and Prime Minister of the UAE and Ruler of Dubai. 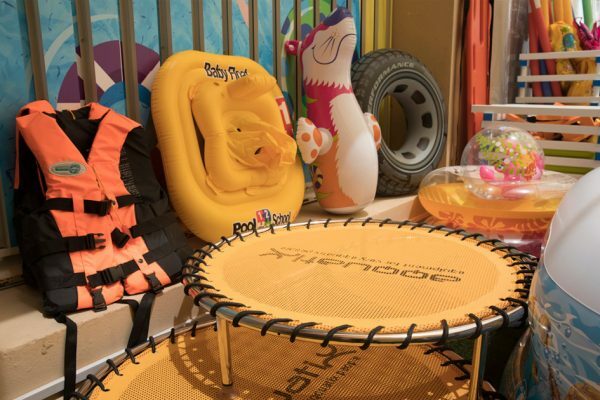 On a mission to improve the health and wellbeing of the UAE’s citizens and residents, Sheikh Mohammed is a vocal advocate for healthy lifestyles and the pioneer of Healthy Children 2021, a campaign to reduce obesity in the UAE more than 20% by 2021. 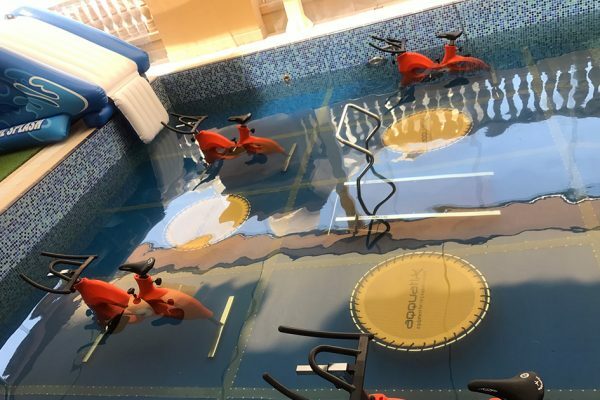 However, despite the Sheikh’s vision, the UAE had no dedicated facility offering a wide range of activities for those who need them most – children and their families. 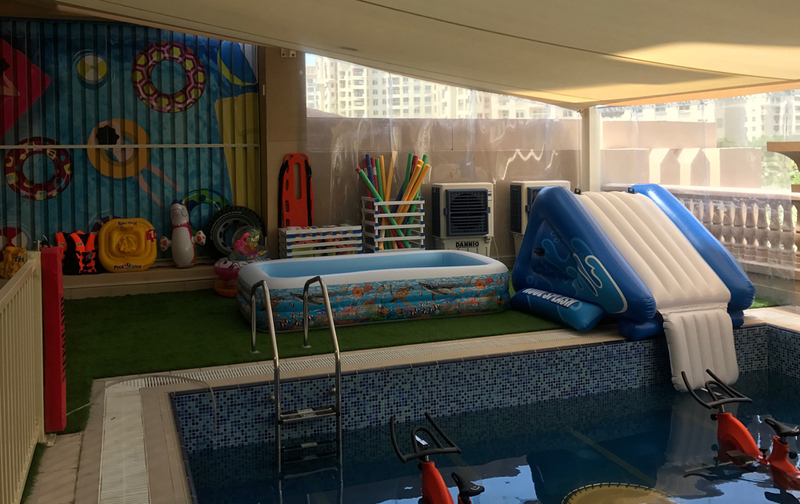 Then in 2016, husband and wife entrepreneurs JAVED and SHANNA GANI, arrived in Dubai, aspiring to open a business that would help give back to their adopted home. 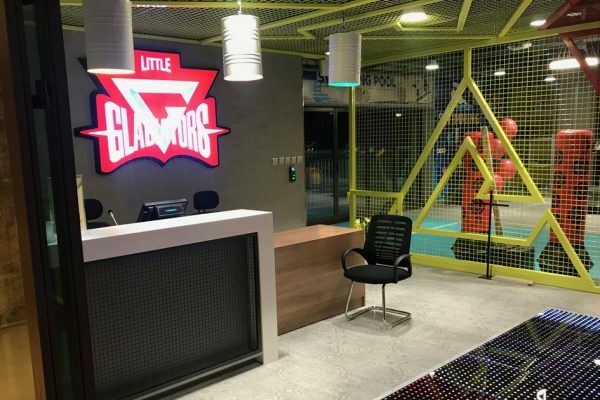 Keen followers of Sheikh Mohammed’s work to improve the nation’s health, they devised a unique concept to support the UAE in achieving its ambitious plans for a healthy future and, in 2017 Little Gladiators opened its doors for the first time. 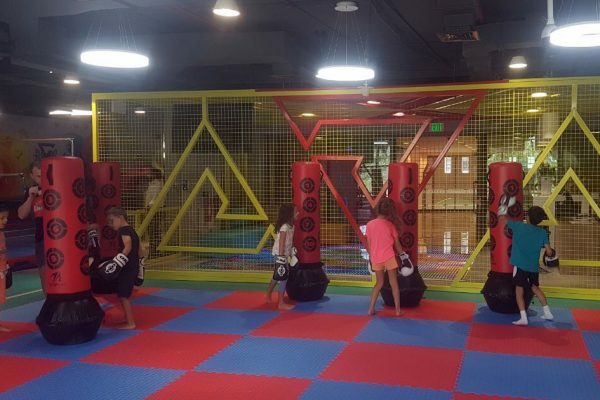 Located at the Golden Mile Galleria Mall, on Palm Jumeirah, Dubai – a city that is no stranger to world-first concepts – the first Little Gladiators covers a 7,400 square feet space and will be joined by two more facilities in the emirate over the coming months. 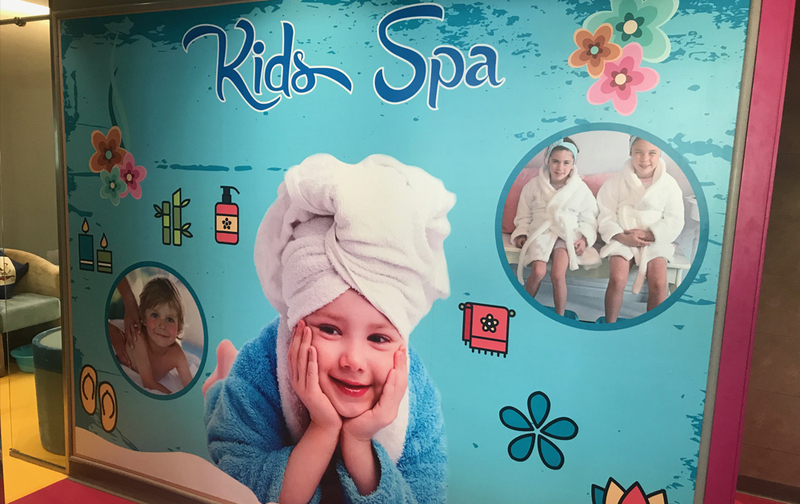 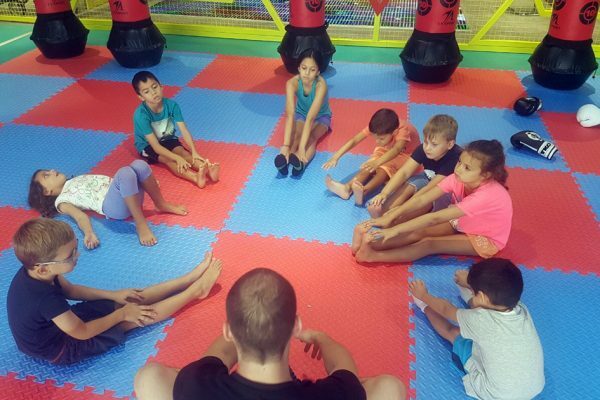 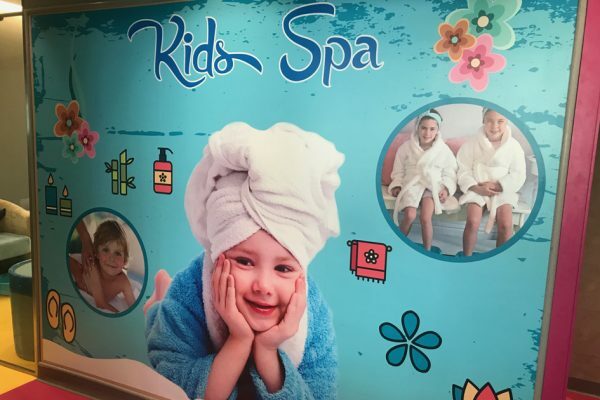 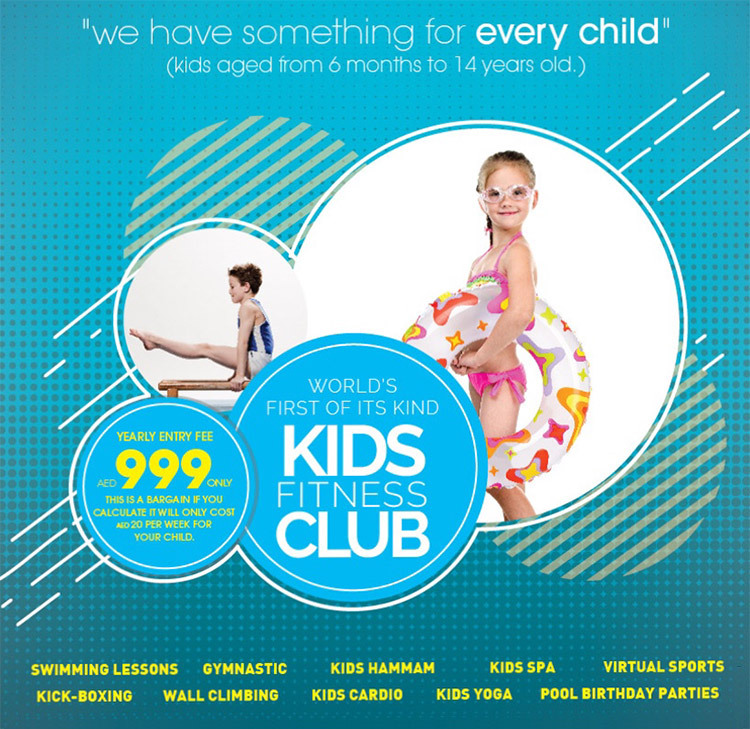 Activities at the gym include Gymnastics, Interactive Wall Climbing, Tree Climbing, Virtual Sports gaming, Kids’ Yoga, Kids’ Cardio, Kickboxing, Kids’ Hammam, Kids’ Spa and a Swimming Pool with highly qualified instructors leading all lessons. 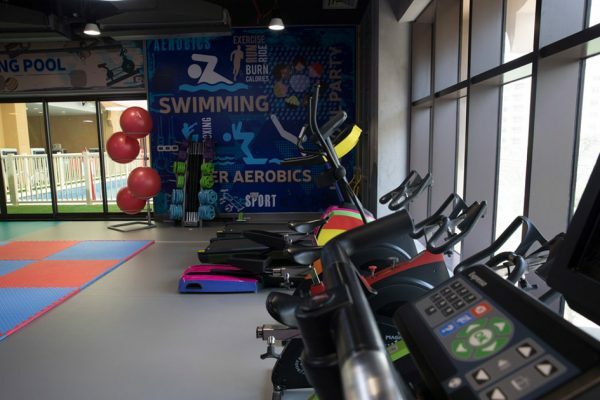 The gym also hosts pool parties for birthdays and special occasions, and private family swimming lessons. 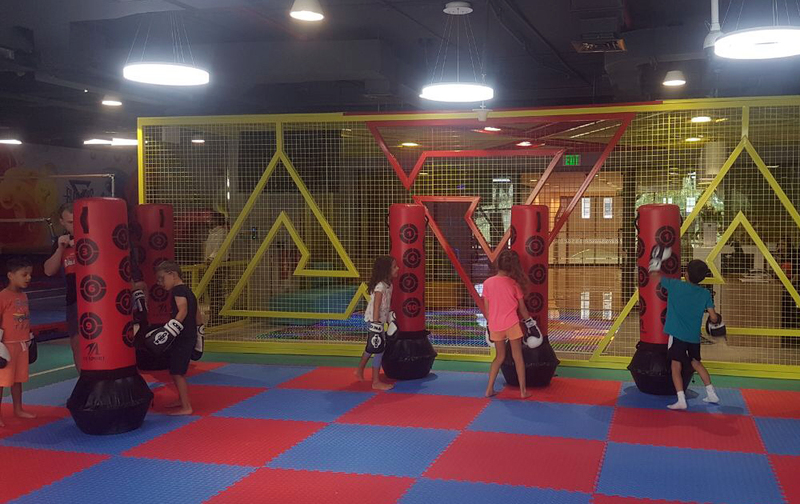 Mums can join the fun too, with female adult aerobics held every morning. 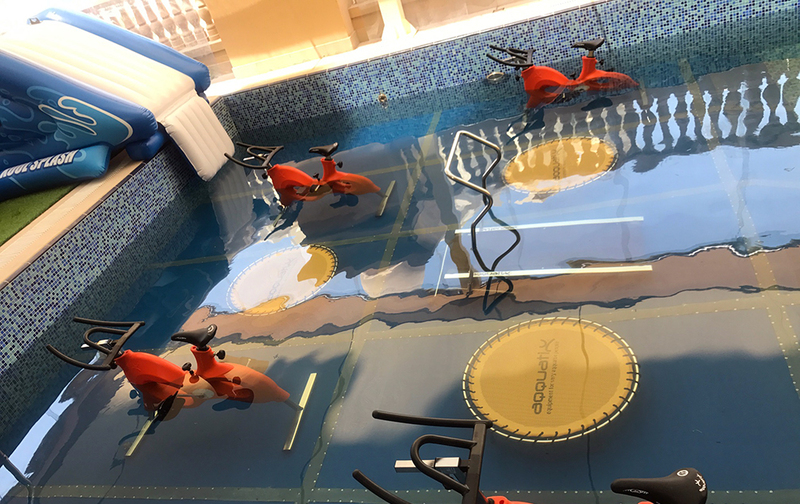 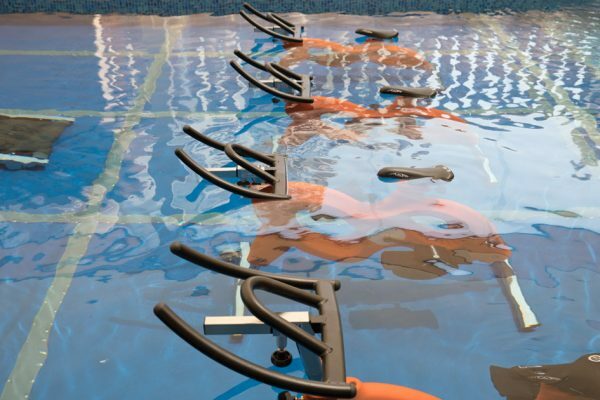 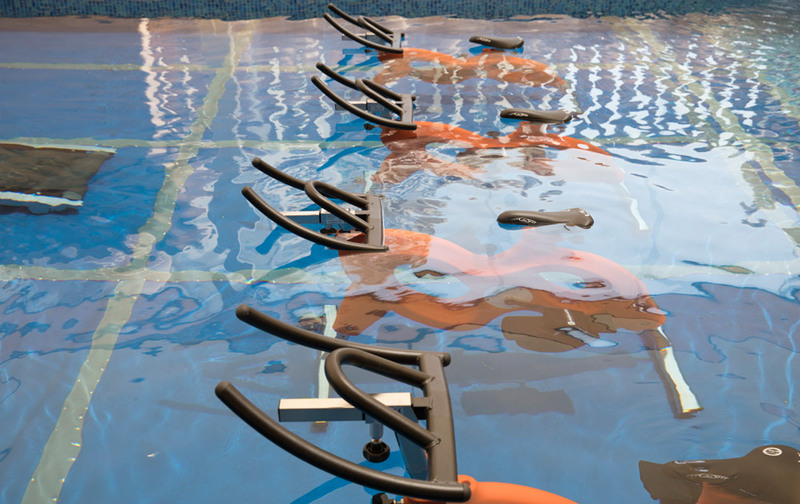 Bringing the latest trends to Dubai, classes include underwater cycling, underwater treadmills and water boxing classes by female instructors for female fitness fans. 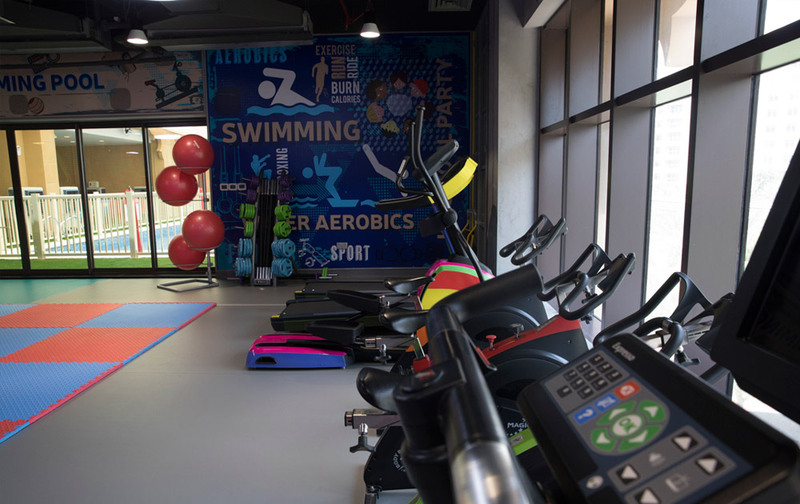 The centre provides full changing and shower facilities and employs qualified, full-time lifeguards during all hours of operation.